iKhedut Yojna Portal Online Registration @ ikhedut.gujarat.gov.in: Khedut i Portal Website: Here we will discuss on an iKhedut online registration form, application status check and Kisan Call Centre toll-free number. 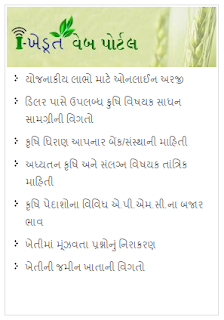 The official website is www.ikhedut.gujarat.gov.in. With a view to helping farmers of Gujarat with better agricultural growth, Government of Gujarat has introduced i-Khedut web portal. i-Khedut provides all the information related to agriculture at the touch of fingertips. Check more details in official website. The i-khedut portal offers various benefits to farmers. Now they don’t need to go to agriculture centers for different agricultural needs and reasons. They can access lots of information at their fingertips. They can apply online. Their various queries are answered online. They can get weather information which can be very helpful to take decisions for their farming activities.